Yesterday, 12 February, BioGaia announced the results of its Year-end Report. 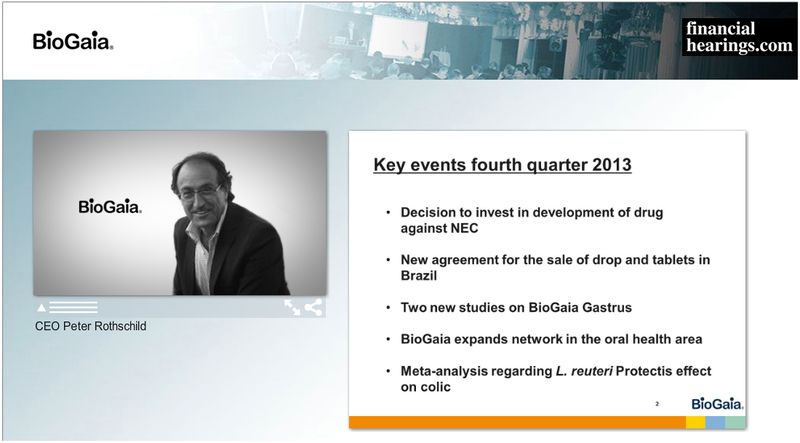 In connection to the release BioGaia held a telephone conference where Peter Rothschild, President BioGaia, summarized the results and answered to questions from analysts. The press conference can be viewed in retrospect through the Financial Hearings website.